Have you ever had to deal with ivy? Its a beautiful evergreen plant but if you don’t look after it meticulously it grows everywhere and particular in places you don’t want it to grow and spread its green shoots. Where is the link to envy apart form the wordplay? In today’s world we are continuously in competition against everyone. Looks & clothes, holidays, successes at work and so forth. When somebody outperforms it’s easy to turn to resentment. The competitive spirit helped us to survive, however, today it isn’t about survival anymore, in the true sense of the word. Even we don’t like to admit, we are jealous of others successes. 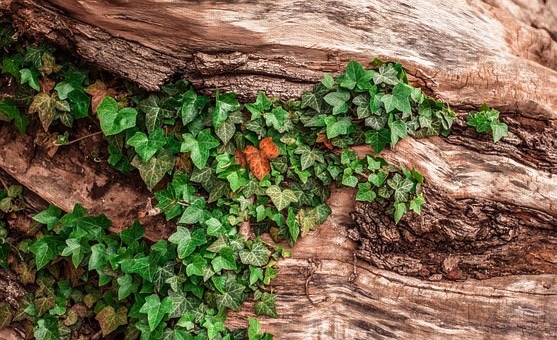 The feeling often grows uncontrolled, like the ivy and it does more harm than good. If uncontrolled we tend to focus on what we don’t have instead on focusing on our own strength. As we don’t seem to have what others have we become demotivated. Thereby we forget to see that the successful also have their weaknesses, they just aren’t obvious to us at that moment in time. It’s a cold hard reality that, if you screen the planet, there will always be somebody you consider better, smarter, more beautiful or successful. You can’t win that game. Your inner competitor will never shut up if you don’t trim it back like the ivy. The tools to cut it back is the deep focus and execution on your „own” desires, purpose and vision, derived from you. And while one might be able to copy your product, nobody can copy your path as it’s yours alone. There is something only you have as you are unique. Freeing yourself from envy is like controlling the ivy and leads to a beautiful and blossoming plant (version of you).